There will be a Board of Education meeting on Tuesday, April 23, at 7:30 pm at the Hendrick Hudson Free Library, where the district art show is currently taking place. 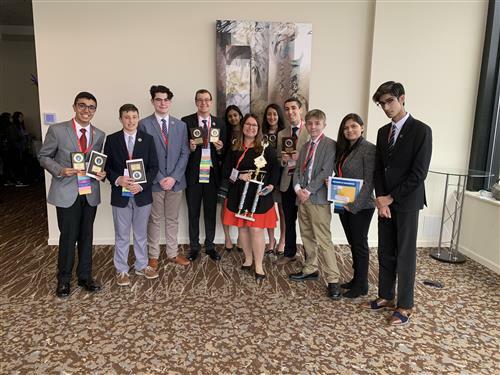 Hendrick Hudson High School’s Future Business Leaders of America (FBLA) Club had a very successful showing at the New York FBLA Leadership Conference in Binghamton, NY last week. Click here to read a letter from Superintendent Joseph Hochreiter regarding an additional day being added to the Memorial Day holiday, due to this winter's unused snow days. The Westchester County Department of Health has asked local school districts to distribute its information regarding measles. Click here for county information, including a Q & A and details regarding free measles vaccine clinics. New Podcast! Listen in as Superintendent Joseph Hochreiter discusses the Project Lead the Way Biomedical Science track with teacher Jeanine Hall. 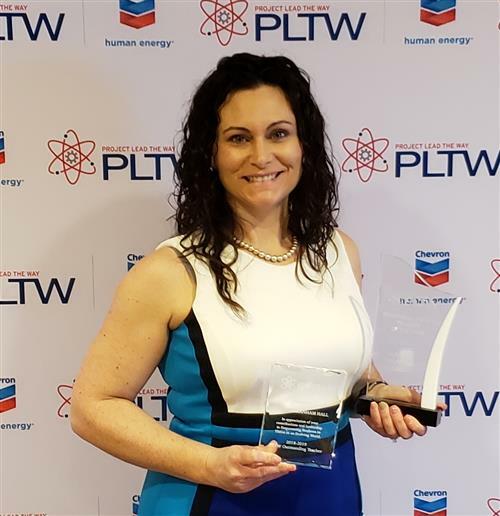 Hall was named PLTW Teacher of the Year during the organization’s recent annual summit. The Hendrick Hudson School District will host an adjudication festival sponsored by the New York State School Music Association (NYSSMA) on May 10 and 11. As one of 85 festivals across New York State, the event will give soloists, duets, trios and other small ensembles an objective means of assessing their musical performance. It is expected that 1,202 students will participate in the festival.